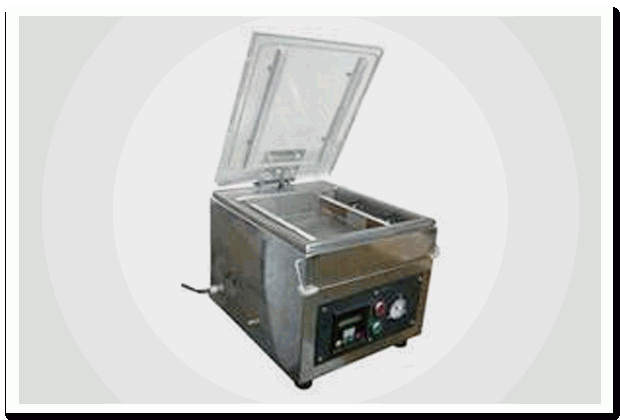 Table Top Vacuum Packing Machines|Vacuum Packing Machines|manufacturers and Suppliers in Mumbai, India. Our clients can avail from us wide range of Table-Top Vacuum Packaging Machines in compact & cost efficient structure. Our clients can avail from us wide range of table-top vacuum packaging machines in compact & cost efficient structure. Moreover, our range vacuum chambers are fabricated from stainless steel and are offered with provision for measurement and control of vacuum. Further, these are recommended for use in packaging of fish and meat products, cashew nuts, dry fruits, ea, sensitive electronic components and electrodes. Available in various specifications, these can also be custom made as per the clients' specific requirements.